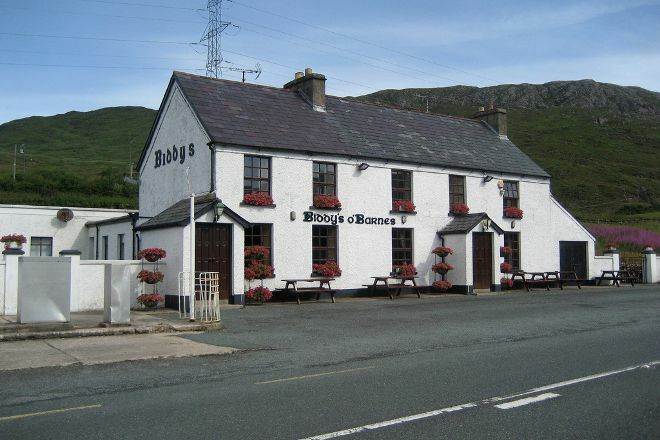 Easily accessible from both Ballybofey and Donegal Town, Biddy’s O’Barnes is located in the foothills of the Blue Stack Mountains and on the banks of the Lowerymore River. Originally an inn from the 18th century, this popular pub remains a resting point for modern travelers exploring the area. Drop in for some traditional pub grub and drinks--the roadside venue is hard to miss, and will be even harder to leave when you make a few local friends. The pub is also available for private stag/hen parties. Work out when and for how long to visit Biddy’s O’Barnes and other Donegal Town attractions using our handy Donegal Town tour planner . Great local bar with friendly staff & locals. Unique building with cosy decor to match. Apart from crisps, nuts etc they do a great selection of tasty toasted sandwiches & a very tasty homemade vegetable soup, (they won't even give away the secret of years gone by recipe). A must visit if you're passing through the Gap!! Such a great pub in a great location! Also had nice beer and service. It has it all!! Very welcoming and friendly always plenty of people passing through, great spot. Every day, we help thousands of travelers plan great vacations. Here are some tips on how to use your Listing Page to attract more travelers to your business - Biddy’s O’Barnes. Promote your permanent link - https://www.inspirock.com/ireland/donegal-town/biddy-s-o-barnes-a123064633 - on your website, your blog, and social media. 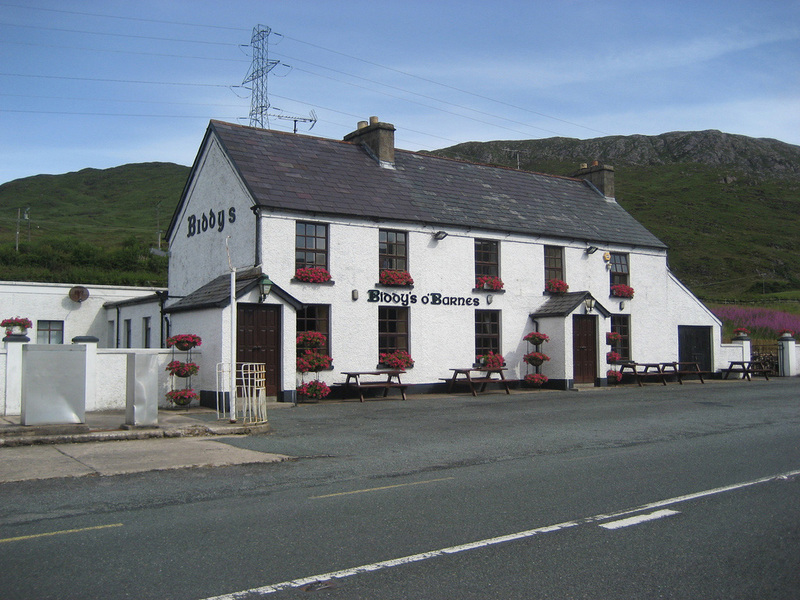 When a traveler builds a plan from this page, the itinerary automatically includes Biddy’s O’Barnes. This is a great way for travelers looking for a great vacation in your city or country to also experience Biddy’s O’Barnes. Promoting your link also lets your audience know that you are featured on a rapidly growing travel site. In addition, the more this page is used, the more we will promote Biddy’s O’Barnes to other Inspirock users. For best results, use the customized Trip Planning Widget for Biddy’s O’Barnes on your website. It has all the advantages mentioned above, plus users to your site can conveniently access it directly on your site. Visitors to your site will appreciate you offering them help with planning their vacation. Setting this up takes just a few minutes - Click here for instructions.